Just like in Windows operating system you have the options of choosing time zone and internet time which lets you to update exact standard date and time easily you can also set the time zone automatically with which if even the location changes the time zone changes accordingly, without needing to change manually regularly. Setting the time zone automatically is very simple; all you need to do is to just go to “System Preferences” and then click on “Date and Time”. 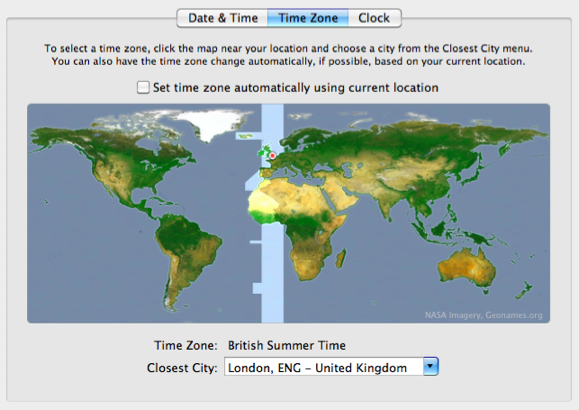 Now, under the time zone tab, check whether “Set time zone automatically by location” option is selected or not. If it is not selected, you need to select that. Once you check that option, select the nearest location where you are and you can see that a bright patch will appear as your current location. This current location is determined using “Core Location”. 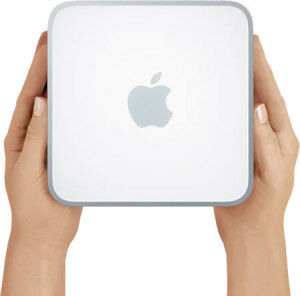 If you are moving to places, the only way MAC can recognize your location will be with the help of Wi Fi as MAC doesn’t have GPS with which things would have been simpler. Your MAC checks for available Wi Fi connections around. So, you need to turn on your AirPort option, to enable searching of various Wi Fi connections with which your location will be set automatically. Another alternate by which your MAC can automatically recognize the time location is, if you have any GPS device connected and if your MAC recognizes this then your “Core Location” which is responsible for setting time location will be automatically switched over to this. So now when you are travelling along with your MAC, the time should change automatically according to the respective time zone. There are other applications as well such as “Google Latitude” with which you can share the location with your friends, but it will need you an internet connection around or a Wi Fi connection will do. So, if you want to completely turn off the “Core Location” option, all you need to do is to first click on the “System Preferences” option and select “Disable location Services” option which will disable “Core Location” successfully. So in this way, you can automatically set the time zone which will change according to your movements.